New York City officials should look at Puerto Rico’s crisis and recognize the danger they are in. Many have heard of Puerto Rico’s recent financial crisis. The crisis began when the Puerto Rico Electric Power Authority generously provided free power to all 78 of Puerto Rico’s municipalities. Since then, Puerto Rico has shrunk deeper and deeper into debt leading themselves into not only a financial crisis, but also an environmental crisis. Puerto Rico’s municipalities are left with zero incentive to conserve energy. One of the most startling examples is the ice skating rink in Aguadilla. One can’t help but wonder why a town in the a tropics, would choose to open an ice skating rink given the associated energy costs. However, given free electricity , their largest expense is eliminated, and nothing is discouraging them from using as much electricity as they please. 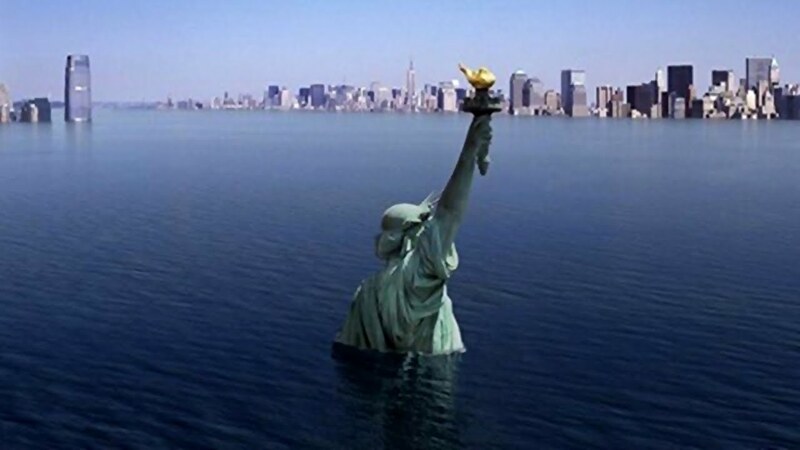 Similarly, New York City’s environment is also at risk. Water especially. The New York City Department of Environmental Protection has been providing water at a fixed-rate to the city’s agencies for years. Thus, these institutions have zero motivation to become more environmentally-efficient. With no financial incentive, and no governing authority telling them otherwise, they are free to use as much water as they wish without considering any environmental risk. Prospect Park Lake, located in Brooklyn, assumes 55 acres and runs 7 feet deep. Park officials have not installed a well, which would be the environmentally responsible thing to do. Instead, they have filled the lake with tap water. Hundreds of city buildings within all five boroughs of New York City could save a substantial amount of water by installing high efficiency toilets and checking regularly for leaks. However, there is nothing motivating anyone to take any action to conserve New York City’s water. New York City officials should look at Puerto Rico’s crisis and recognize the danger they are in. New York has a larger environmental footprint than Puerto Rico and is at a much greater risk. If no action is taken soon, NYC will find itself in terrible downward-spiraling crisis. Categories: DEP, New York City, Uncategorized, Water Board, Water Conservation, Water for Future | Permalink. 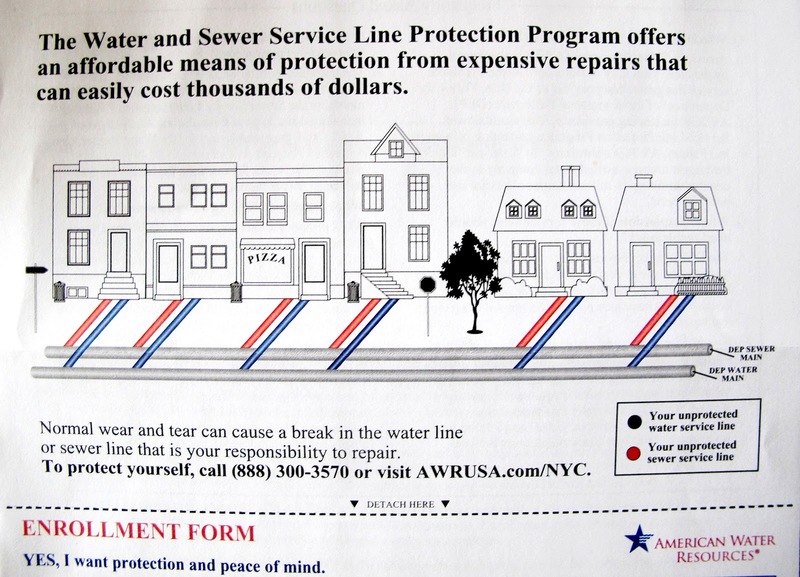 In a post from August I gave you all the nitty gritty details on the DEP’s Water and Sewer Line insurance program – which protects homeowners in the case of a costly service line repair. WELL, I have an important update: according to the DEP, MIXED USE buildings (that is commercial buildings with attached single or multi-family dwellings) are now also eligible for the program!!! The cost of the program is still the same for all eligible properties whether residential or mixed use – $4.49 per month for water line protection and $7.99 per month for sewer line protection. SO, if you own a mixed use building and didn’t think you were eligible before, definitely look into enrolling in the program. You can find all the information you need at http://www.nyc.gov/html/dep/html/service_line_protection/index.shtml and even more in my blog post from August. Categories: Uncategorized | Tags: DEP, Mixed use, Service Line Protection Program | Permalink. We finally have a reliable system of water distribution in New York City. But don’t forget what our “reliable” system itself relies on. Water comes to New York City in two steps. Yesterday, the second step of our waters’ journey became much safer, more reliable, and more sustainable. 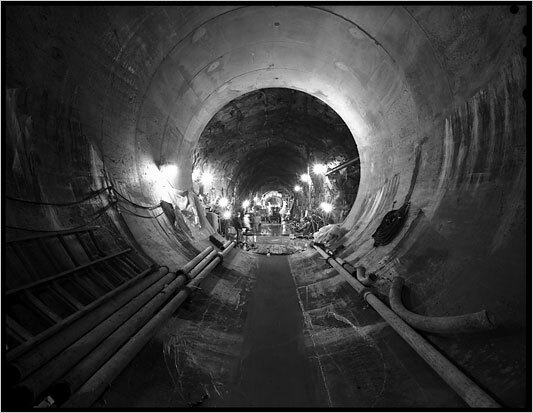 The completion of Water Tunnel No. 3 was a huge success for New York. With the addition of Tunnel No. 3, the DEP can now inspect and repair Tunnel No. 1, reduce leakage, and assure that our city’s water tunnels will last long into the future. But what about the FIRST STEP in the water journey??? Before the city’s water ever touches the now “reliable” three tunnel system, it must travel over 80 miles from the Catskill Mountains and Delaware River through the Catskill and Delaware Aqueducts. And unfortunately, this part of the journey isn’t reliable. There are two known leaks in the Delaware Aqueduct that collectively release between 33 and 37 million gallons of water per day (out of the 500 million gallons of daily flow). These leaks not only waste a significant amount of valuable water (enough to provide water for 300,000 people per day), but also cause drinking water contamination and flooding in local homes. The DEP has known of these leaks since the 1990’s, but very little has been done to repair them. Before anything can happen, inspections must be completed and an alternative bypass tunnel must be built so that water can continue being delivered to the city throughout the repair process. In 2010 the DEP released a plan for a $1.2 billion, 3 mile bypass tunnel to be built around the leaks. Construction was set to begin in January of this year, but progress has been slow and it will take years before any real repairs can begin. The DEP continues to roll back the start date. With the Delaware Aqueduct supplying 50-80% of NYC’s water, it is imperative that these repairs are carried out. Because what’s the point of a brand new city tunnel if we can’t get any water to it? Categories: Uncategorized | Tags: delaware aqueduct, DEP, water, Water Tunnel No. 3 | Permalink.